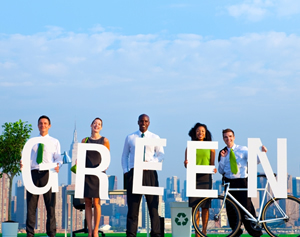 The popularity of "going green" is undeniable. But we didn't hop onto the green bandwagon just to be trendy. The fact is, we've been green since our start more than 100 years ago when we introduced the first energy-saving, non-refrigerated water fountain. From refillable filters that reduce filter waste to bottle fillers that reduce plastic bottle waste, OASIS International's green products make water for the world a better thing. Want to go green with us? We're looking to expand our green initiatives with people and projects that improve the availability of clean, safe drinking water. Tell us more about what you're doing and how you think we can help. Due to the overwhelming number of requests, we're sorry but we are not able to respond to every request directly. However, you will be contacted if your request is of interest. Thank you.